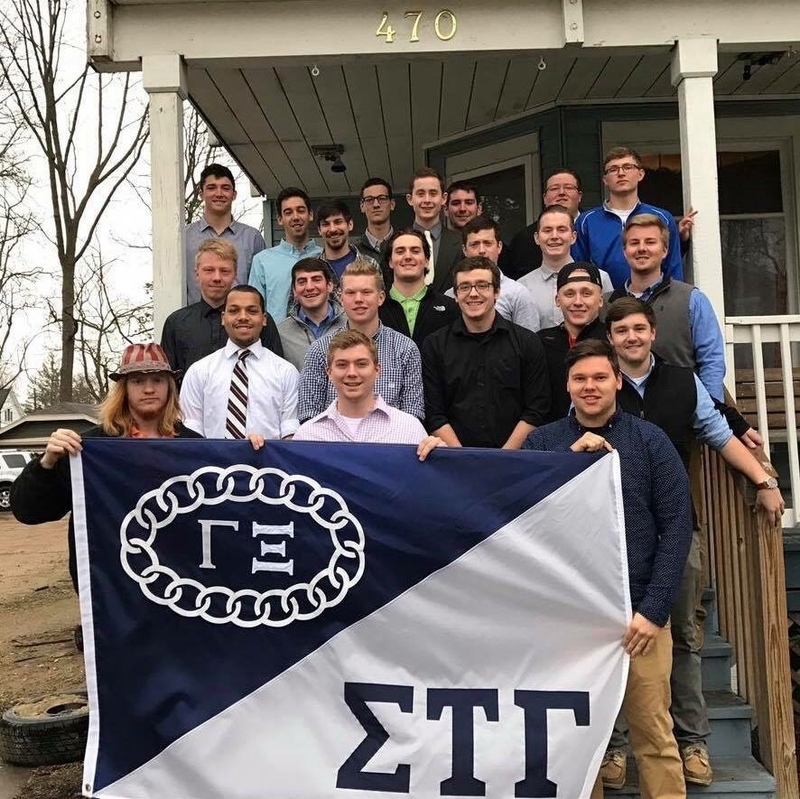 Sigma Tau Gamma members pose together with their fraternity’s flag to show their brotherhood. Sigma Tau Gamma’s principles include value, leadership, excellence, benefit and integrity. One value all the brothers take to heart is “benefit.” Last semester when Valerie Wetzel, the leader of Greek life, reached out about a local Platteville man who was in need of some assistance, the men of Sigma Tau Gamma were happy to lend a hand. Six of their members took the time to go help out Jerry Roh, who had collected over 20,000 vinyl albums. Spending a total of 75 minutes in which they loaded the truck with 325 boxes full of records. These men could only relay the experience with positive aspects. This single community service that these six men did helped Roh and a few months later, in the summer of 2017, he reached out again to the men of Sigma Tau Gamma. He was in need of having his driveway redone, and the fraternity brothers were more than willing to help. Sigma Tau Gamma has done amazing things for the campus and the community for over 45 years and helping out Roh is just one example. They help set a positive example of what Greek life is all about. Their values help them positively impact one another but also those around them. They are always there for one another. On countless occasions the brothers helped out those who were struggling in their classes. Older members taught them how to study and studied with them. “During my first semester when I started to struggle, I talked to a few of my brothers and they were willing to help me out,” junior computer science major Jamal Crawley said. These men hold a standard for themselves, a standard that positively impacts not only themselves but the community as well. Among a few of the other community service and philanthropies they have participated in, a few mentionable ones would be their National Philanthropy: The Special Olympics, bingo with ManorCare, the blood drives on campus, the freshman dance and also highway clean up. Sigma Tau Gamma is not simply a house that has brought men together, it is a fraternity.